Complete 26 paid offers and be paid between £300 - £1000+. By signing up today you will get a bonus of £50 for completing your first one. Once your money has been fully validated it will become available in your account and you can swap it for cash via BACS or Amazon vouchers. Paid Offers is not a market research site but as the name suggests is a website where you get paid for completing various online offers. Examples of these offers could include registering with freebie or research websites, playing games, signing up for newsletters or taking out free trials. It’s even possible that you may receive a free product to test and give your feedback on over a specified amount of time. Every Time you participate in an offer through their site, Paid Offers will receive a sales commission. Once validated this commission is then paid to them and then shared with you as a cash payment. To get started you need to click the join now button on their homepage and fill in the required information. You must also validate your email address. Once you are in your account you will be presented with 26 paid offers. For completing the first offer and as a sign-up bonus you will get £50 added instantly into your account. The first offer could be something as simple as joining a survey or freebie website. After completing this first offer you must work through the other 26 by following their simple instructions. For completing the whole 26 offers its quite possible that you can earn as much as £300 – £1000+. You must then wait until all the offers that you have completed have been validated. Once the advertisers validate all the offers your money will become available for you to claim in your account. You must then log in and choose whether you want your money via bank transfer or in Amazon gift vouchers. If you decide to take Amazon gift cards then you will receive an extra £10 on top of the money that you have earned. You don’t have to complete all 26 offers in one go if you aren’t interested in any of the available offers then simply log out and return another day. You should not be pressured to register or sign up with any paid offers that you are not completely confident about. To earn some extra money you can also refer your friends to the site. For each friend that you refer, you will be paid £10. Your friend must complete at least 2 offers for you to qualify for the £10 payment. Do be aware that it can take some time for all the offers that you have signed up for to be fully validated and your money be credited to your account. In the meantime, any offers that have not been validated will show in your account as pending. Update for April 2016: Many people have now reported that they have been paid. If you are willing to spend £100 – £200 registering, buying and depositing into various accounts and are happy to wait 9 – 12 months for all the offers to get validated then you will eventually be paid! The amounts that have been reported range from £100 – £1000+. 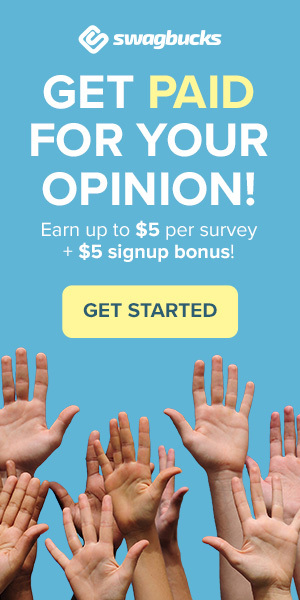 If you are just looking for some ‘quick cash’ and don’t want to spend any money getting it then you would be best to try some of the paid survey sites we have listed here. As of February 2017 Paid Offers has closed for a similar website that guarantees payments take a look at Offers Cash. Well I’m on it at the moment and have told people in charge of the site that I will give a good review if I am able to complete it. I have about 19 of the 26 validated already and I have a friend that has one left to be validated. So I cannot say it really work until I can confirm that I have the money. I hope that answer your question. I wouldn’t bother about paidoffers.co.uk website as I have completed all 26 offers and haven’t been paid yet, have been waiting for about 1 month to be paid the money that is owed to me. Adeleke wouldn’t waste anymore of your time with it and sorry for the bad news. It’s a con i’m afraid. You start of just filling out surveys or entering competitions. After about 4, you are then asked to sign up and pay for say joining a bingo site, so you would be asked to deposit £10. So after about 20 odd ‘jobs’ you could end up forking out well over £50. I have heard that some people complete all 26 jobs and the site finds a reason to not validate a job meaning you don’t get what you have earned. You cannot get paid without completing the 26 Offers and the necessary verifications completed. The pending could hang your payment without the confirmation. And you cannot be paid. I have completed all 26 offers. It took over 6 months to get the last few validated. But finally got a payout. It just takes a lot of perseverance. I haven’t personally joined myself but have heard a few reports that people are now getting paid the full amount. Apparently though it does take a long time to do and for all the money to get validated. I’ve heard that people are getting paid but it can take up to 7 months to get the money. That isn’t that much different to some of the other big cashback sites. Gonna give it a try. Should be somewhere a organism to protect us from his kind of website. They lie, advertising that you will be paid after you complete the 26 offer, not after 8 months of validation. Anyway, if you count the money you have payed for registration for loans and different ‘offers’, by the way no one notice you that you have to pay first some money for offers, and the time you waiting for money plus your permission to check your computer,your mobile, to invade your privacy, this money with not guarantee that you will have it, not worth. My opinion. Hi all, I got to offer 19 which was to apply for a card with Vanquis. The same bank I had to apply for a card with in an earlier offer. So as expected the application got rejected and so I have failed to complete offer 19. There wasn’t an option for an alternative offer either. I have contacted paidoffers via email explaining that offer 19 was mission impossible and I am awaiting their response. If I do not get the reply I am after then it will prove it is a scam and I will be shouting it from the rooftops to ensure everybody is aware of this. How did it go with this… Is it a scam?? No validation on account why? How on earth can they give you £50+ a time when the commission wont be anywhere near that. It sounds like a pyramid scheme to me, and in order to get paid you need more to join and you get their money etc. And those are highly illegal. They do get paid a lot of money for surveys and call for actions they produce for their clients, however they make it so tricky when it comes to paying their customers (us). Almost impossible, considering validation process and the fact that all offers must be completed and also very costly. Stay away from them! They are scam! It’s only them that make a lot of money. You have to take out credit card , loans give your bank details, take out car/home insurance, it’s not worth the hassle. Don’t waste your time.. read the articles of SCAMS from this website. if you believe this company is genuine… I encourage you to send them a letter to their office address. there is currently an investigation by the serious fraud organisation into their dealings. This does seem to be a scam with security issues for those being asked to pay up front to complete offers, particularly when gaming and betting sites cannot be avoided. The telephone number quoted on the web site for queries is also false and belongs to a well known bank. How do you know they are being investigated? They seem to be owned by a genuine company and the office address is definitely valid. I completed the offers and have had less than half of my money validated. I dont understand why they cannot pay out validated money as they have already earned their commission from it… Bit of daylight robbery here. Especially if you partake in signing up for things which require you to deposit cash for a payout. Big nono! If they changed it to getting money paid out on validation, then it would indeed be a great scheme; until then… Stear well clear im afraid. This website is ridiculous.. took us ages to go through all the offers and most of them were too deposit money. Well thought you came on this website to earn money not spend it! have finished all 26 offers and have been waiting ages to get the offers validated. This was meant to be a quick and easy way to earn money.. would never ever recommend it. I have completed all my offers and one was pending so I email them, they replied back saying you must have not done it correctly so should we reset it for you? I said yes but got the money £1050 really loving it ( Make Sure You Complete The Offers Properly But If It Isn’t Getting Validated Then Email Them To Reset It For You ) Of Course if You Do Not Complete The Offers Properly Then It Will Not Get Validated. I Have Spent Money To Get Money Back So YOU WILL NEED TO USE YOUR DEBIT CARD FOR SOME OFFERS TO BE COMPLETED. i have but one offer left to be validated. this has been going on since january with paid offer who told be i have to wait 120days. it is now june. theres a lady there i contacted and she said the money will be with me in 2/3 days. No money on the third day so i emailed and she gave excuses, she confused me with somebody else. i think its a scam but still waiting. Why do these websites make life so difficult? I’ve completed all offers, but about half still pending. One or two say complete the 30 day free trial and I wonder if – by saying no thanks on the trial after seven days or so (meaning I don’t forget & end up being charged for first month before realising) – I’ve scuppered my chances? It’s encouraging to hear that some people seem to have been paid (eventually) but this should be so much better run. I am just starting it, good luck. Too hit and miss ! This is a total SCAM – nobody has ever received a penny. These sites simply get worked from us and they take money. It is filling somebody else pocket. Well I can confirm its a blag, they have paid out the odd few people after 4/6 months BUT this is only after those people have maxed the Vanquish I believe its called credit card and repaid the loans you must sign up too. I know this as its happened to my sister who only decided to tell me when I showed her the site and I had over £275 in my account. They will only pay you once you have paid all the interest back on the credit facilities they refer you to so it’s really your own money there sending you that you had to pay 3x more for. Sorry for any dissatisfaction but I needed to let you know so you don’t fall into the same trap. Saw paidoffers advert on facebook thought give it a go just to see if it was what it said,had no intention to pay them anything even though it was either asking deposit for one thing or the other including the £4.50 a week that was in the “small print ” anyway I just did the surveys 1-26 and lets just see how many actually if any get validated, low and behold I got 4 out of the 26,so i think that says it all so much for it saying they will be validated pretty much straight away on completion, the only thing they missed out on was what year they would actually get validated. I applied for a job today on total jobs for data entry working from home. The application was sent but I then got a link to paid offers where I was told I had to register and complete all 26 surveys for my application to be completed. It is a ridiculous scam. I think this is a scam i completed all 26 and am still waiting for some of them to be validated.It is over 3 months now. I will have been waiting 1yr in August for £925.00..and I am still no further forward.. I have taken action against Paid Offers, for the Amount as this whole fiasco has caused me to lose over £80 by joining they 30day free trials..
Take my advice..get out while you can, and avoid this SCAMMING WEBSITE.. I have completed the 26 offers and the following month did get paid £1355. You do have to pay out to join some of the web sites, and check each month if your offer has been validated. If not ring the Paid Offer web site 02071831653 to query it. I’ve completed all 26 and validated 200 quid but they r meet to send me email Wich I haven’t got so I think scam they get people to do it all and keep the money as they haven’t given me a cent. I’ve been waiting nearly 2 years and very slowly my validations are coming through. I have emailed on occasion but am told I have to wait as it takes a long time. They are not kidding. Don’t give up keep contacting them because if everyone does then they have to do something about it. Total waste of time and frustrating as hell. Completed all 26 offers and even paid postage on some things to be sent “free”. Cost me £10. Some offers I would not complete as they wanted me to pay money into gambling. At the time I was not aware the offers could change but once you accept the offer and then try and move on it shows as completed! I have £750 owed to me and £185 validated. The validations happened on the day I did them and the rest has not moved in over 4 months. I have emailed them 3 times and been told that I have done something wrong or that they do not know when I have completed something and just wait for the companies to pay them. B******s! No business operates that way. I have no way of proving I completed them and they know it. Glad that they have previously been investigated but I reckon they paid out a couple of people to make it seem they are legit and the rest are doing it wrong. I really needed the cash but you have zero hope of getting it here. Avoid at all costs. A total rip off! Completed all the offers 8 months ago and they won’t pay up as several sites have yet to be ‘validated’ I have contacted these companies who have stated that the problem is with Paid Offers and not them! Too many complaints about these cowboys on the internet Even the ASA (Advertising Standards Agency) has reprimanded them about this! hello everyone I have sent a email the Paid Offers stating that I have read people reviews and most of them are not happy with them and I wanted answers or I will take action in my own hands. I hope this is OK, I just want everyone who did all 26 offers get their money. at the moment i am waiting for my payment of £1,110 of which £815 are validated & £295 are apparently pending, this has been on going for months. I have sent proof of completing the pending offers as their inconsistent cust/serv suggested but nothing has changed & am only a few days off that 120 day confirmation crap. but there is no way I”m backing off as I reckon this company rely on folk giving up without a battle.we should not have to shout out like this it shows how shabby the company is but hey ” watch dog” are on my agenda if I don’t get whats due..hope others in similar situ have a bash & fight for your cash! UPDATE – have started ball rolling against this ignorant bunch of spongers as am tired of getting zero result. strange how the head of C.S is not working their now, mm wonder why. check out “a spokesman said” on twitter plz. only just began but hope ya all back it up & don’t forget they are being rude by not paying out, we r not in the wrong on this issue! Hi how did you get on? Hi y’all!Well I have read ur comments. They say patience is a virtue,but here’s what I think.I spent days even months of determination in an attempt to complete the offers,even my partner agreed it was a scam.But I would like to invite any comment from the companies themselves, and from paid offers, and ask them how does it really work?I was unsure about completion of some of them and wanted to review them to see if I had done them correctly but I just couldn’t work out how to review them.I am still awaiting a reply. How will I know if I have definitely completed them to avoid them from pending? It is with the greatest of pleasure that I can honestly report that I have today been paid into my bank account £1135 for completing and having validated 26 paid offers from Paidoffers.com I won’t pretend it was a piece of cake but persistance pays off. I started doing the offers in November last year. I have had fantastic assistance from Liz at the company, without whom, I may have given up. To be fair it is not Paid Offers that is the problem but the companies that they are advertising. (Not all I hasten to add!!) If the advertisers all validated the offers as they are supposed to it really would be easy. This is a genuine company and they do keep their promises. I have not been scammed and neither have I been co-erced into writing this testimonial. Liz chased up the companies that didn’t validate my completed offers. Once they were validated it has taken approx 3 weeks to receive my payment. It cost about £40 in total to complete the offers but I did win a decent sum in one of the casino offers so that paid for the odd £1 or 2 for other offers and I was not out of pocket, in fact I was in profit from about 3 days after I started. Patience and perseverance is the key. The way it works is they are paid commission on each sale / lead they make. This could much as much as £50 – £100+ for casino / bingo offers. I spent around £200 on this site over 10 months joining bingo sites and others. 2 months ago I requested payment and received £1200 so it was well worth the wait in the end.